The University of Toronto has been mentioned several times on this blog. It is ranked 25th in the world on the Times Higher Education list of engineering institutions. The university was founded in 1827, originally as a religious institution. Staff there have collected a number of Nobel prizes, and the university was also the site of Stephen Cook’s pioneering work on NP-completeness. 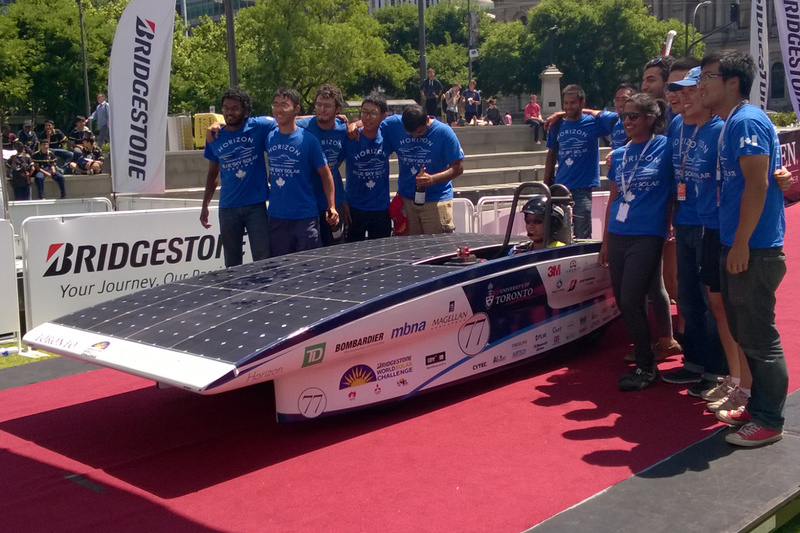 Their solar car team (Blue Sky Solar Racing team) came 12th in the 2015 World Solar Challenge. 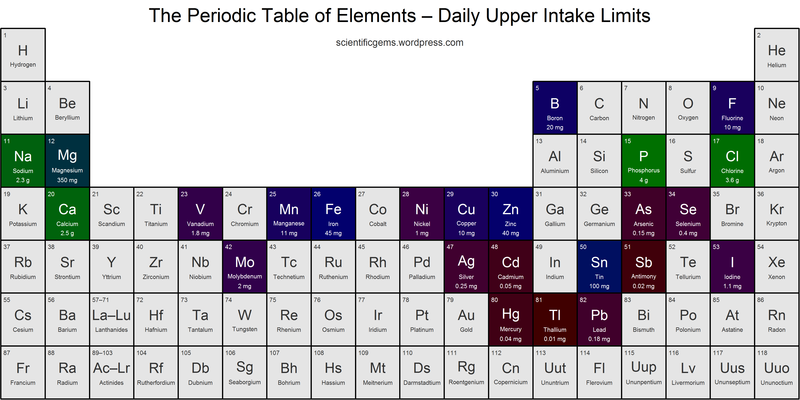 This periodic table summarises daily upper intake limits for various elements (data taken from a variety of sources). Of the elements highlighted, Thallium is the most toxic. However, some of these elements, like copper, are essential minerals for which there is also a recommended daily intake. Remember, the dose makes the poison. Periodic table produced using R. Click to zoom. Important note: these limits are for the most common form of elemental intake, e.g. sodium salts, phosphates, chlorides. One would not want to ingest Na, P, or Cl in elemental form! 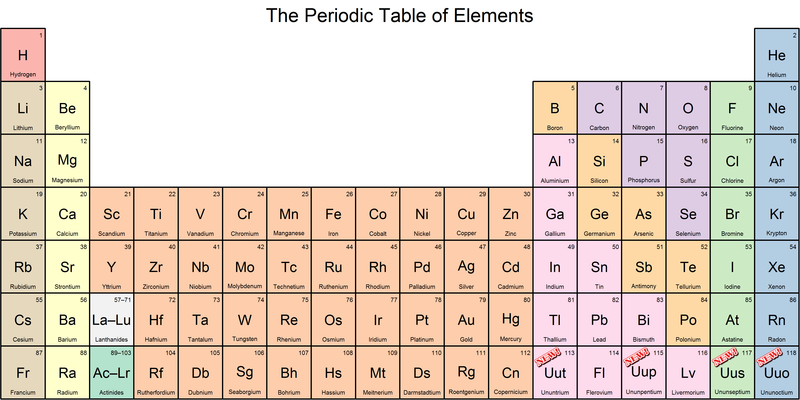 This is old news, but earlier this year we had official confirmation of four new elements (temporarily named ununtrium, ununpentium, ununseptium, and ununoctium), thus completing the seventh row of the periodic table. Dmitri would be proud! Some time ago, someone pointed me at a “natural health” site which expressed shock that “Big Pharma” was putting “toxic copper” into baby formula. Those poor babies! Now the copper was there, all right, but only because copper is an essential mineral. Indeed, copper is present in human breast milk, at a concentration of about 0.36 milligrams per litre, and inadequate copper intake has terrible consequences, especially in premature babies. The copper was necessary. The key idea here, which the diagram below is intended to capture, is sola dosis facit venenum (“the dose makes the poison”). 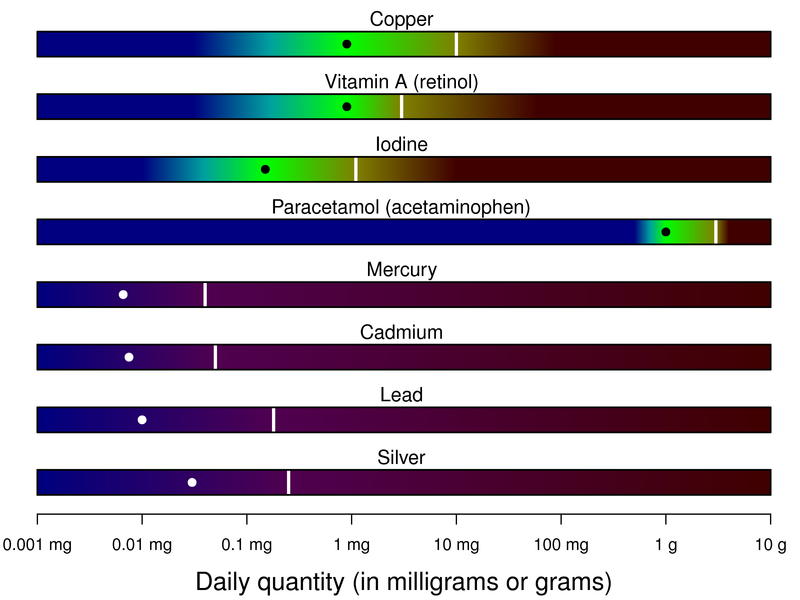 Many essential vitamins and minerals, like copper, transition from a “no effect” dose (blue) to a beneficial dose (green) to a toxic dose (red). In the upper three bars of the diagram, the black dot indicates the recommended daily intake (which we should ingest), and the white bar marks the recommended upper limit, which we should not exceed (disclaimer: this diagram may contain inadvertent errors; please take your medical advice from official sources). Something similar happens with medicines, like paracetamol (acetaminophen). Small amounts do nothing for your headache; in adults, one or two tablets (0.5–1 gram) safely ease mild pain; but exceeding the dosage indicated on the packet can cause liver failure and death. For toxic heavy metals like mercury, cadmium, lead, or silver, there is no beneficial level – the transition is from a “no effect” dose (blue) to progressively greater harm, up to and including death. In the lower four bars of the diagram, the white dot indicates the daily intake of the average person (which generally seems to have no observable effect), and the white bar marks the recommended upper limit. When people are exposed to levels above the white bar, health authorities start to get worried. For example, shark meat can contain 1 mg of mercury per kg or more. Australian authorities recommend that if shark meat is eaten by pregnant women or children, it should be limited to 1 serve per fortnight (with no other fish eaten that fortnight). But even there, it is the dose that makes the poison. 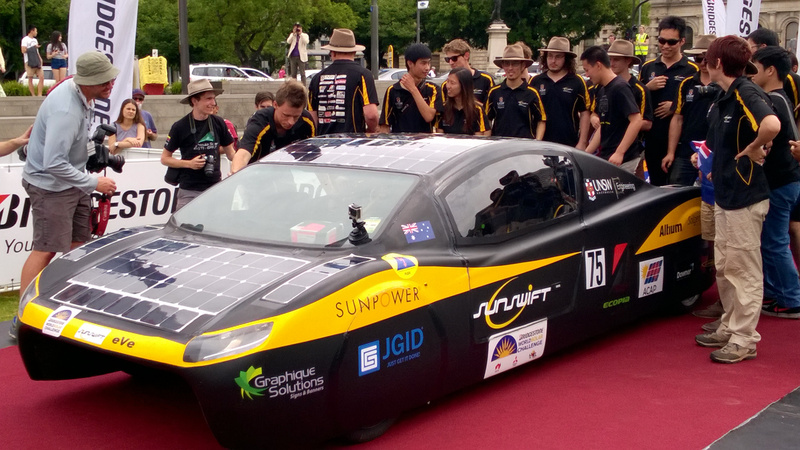 Nuon won the 2014 Sasol Solar Challenge and the 2015 World Solar Challenge. They are the clear favourites for this year’s event. 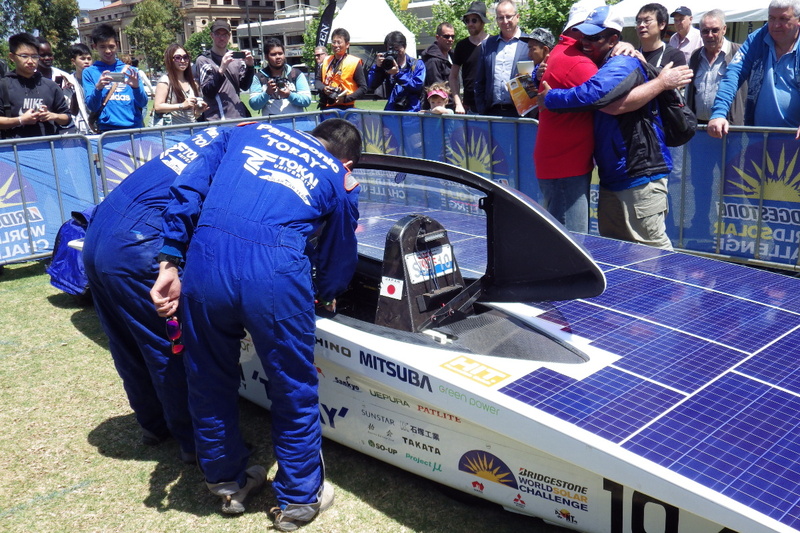 It seems that Tokai will be back in South Africa this year, to challenge Nuon for first place. 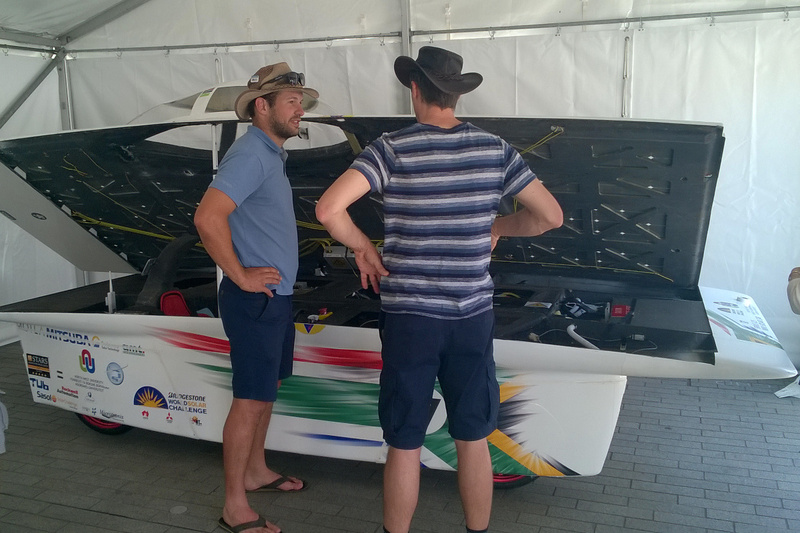 NWU came 11th in the the 2015 World Solar Challenge, ahead of South African rivals UKZN. They should do well on home turf this year. The team from Lodz will, I understand, be taking their lovely Eagle One cruiser to South Africa this year. This seems to be a new team, who are building an old-school symmetrical 4-wheel car. 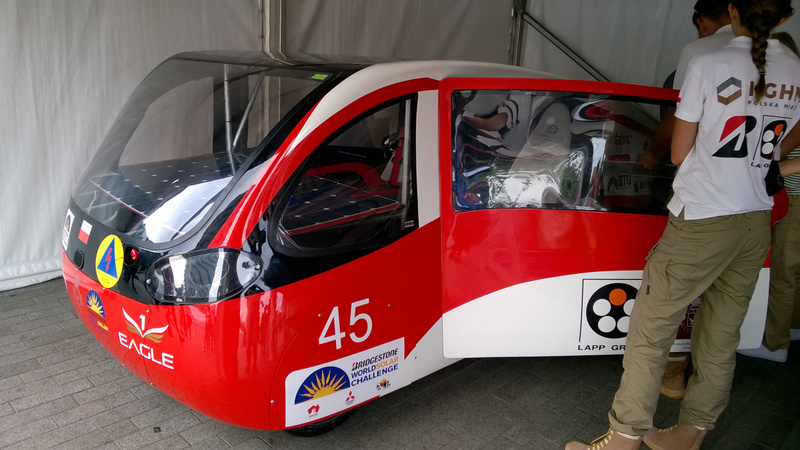 Anadolu were in the top 20 at WSC15. If I understand their (Tukish) web page correctly, they are off to South Africa as well. Not competing this year are UKZN. Update: Google is reporting the Sasol Solar Challenge website as potentially hacked (and a quick glance at the page HTML makes it clear why), so exercise more than usual caution. 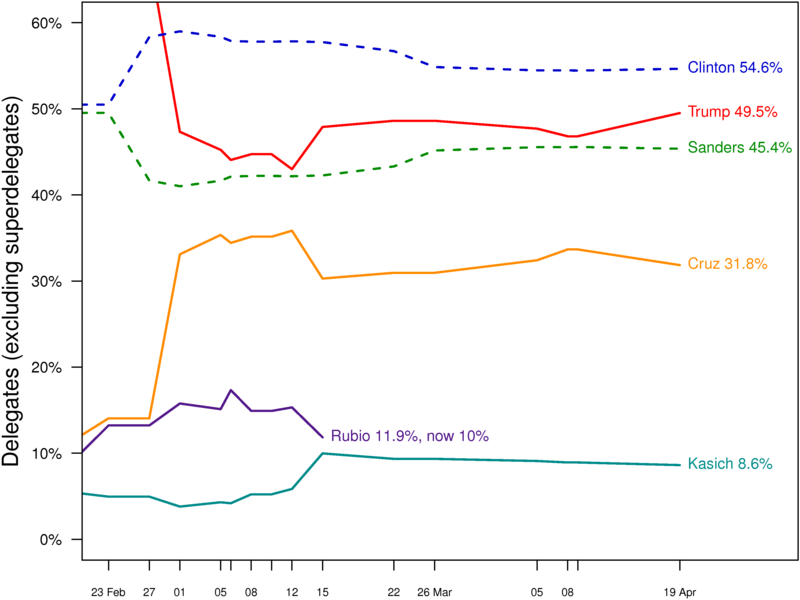 Trend Micro, scanurl.net, and urlvoid.com report no major concerns, but the website is of limited value anyway, being mostly about the 2014 race.